It was released in 1919 out of a concern that veterans coming home to rural America might not be so eager to return to their quiet, isolated farm life after experiencing the charm and excitement of big cities and Paris culture. 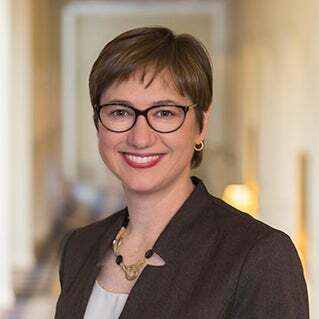 Given the remarkable success of the Centerville Pie Co., and everything from its apple and cherry pies to its savory lobster and chicken pot pies, Broadley’s decision is a case study for any small businesses wrestling with when to grow and when to say no. Sometimes, as Broadley would advise, smaller really is better. 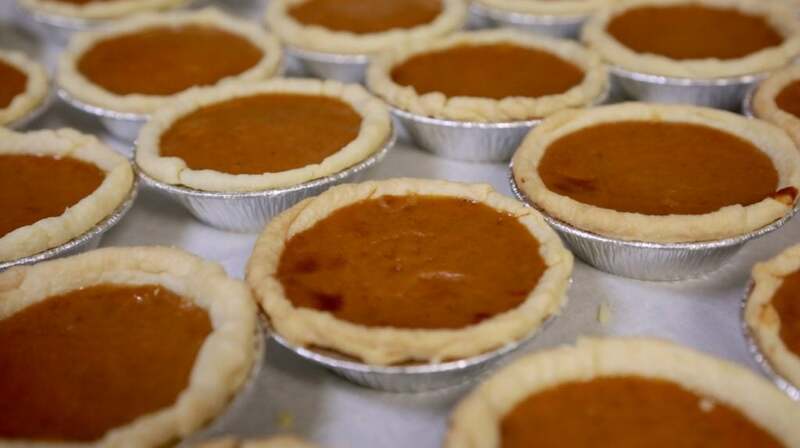 Shortly after opening in 2009, Centerville’s pies were endorsed by Oprah Winfrey, who brought Broadley and her partner Laurie Brown to her show—a move that immediately led to hundreds of thousands of pie orders. 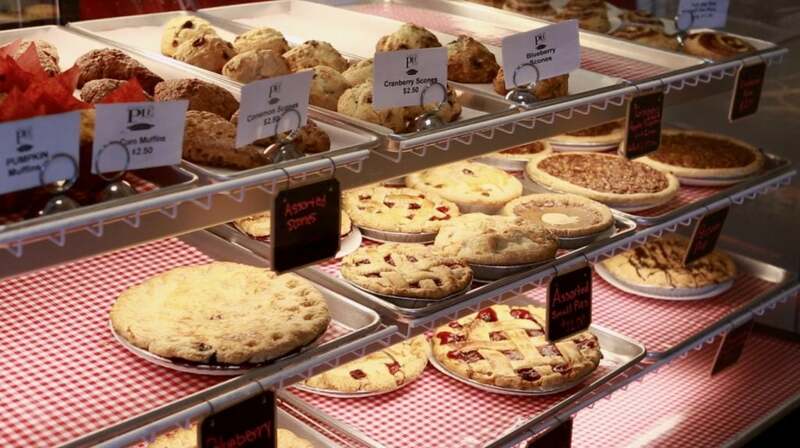 They were invited to serve their pies to film and TV stars at the Golden Globes in Hollywood, and, incredibly, they were offered a chance to include their pies in a prestigious culinary catalog that could have inevitably propelled Centerville Pie Company to global fame. It was the kind of massive overnight success that most small companies can only dream of. And yet Broadley refused to get swept up in it, uninterested in taking her local brand national, or international. She was perfectly content to keep on making her homemade pies the same way she always has, out of her small cafe and bakery here on the Cape. Sitting at a table in her 14-seat restaurant, Broadley reflects on all the fame and fortune she could have had and laughs at the absurdity of it all. 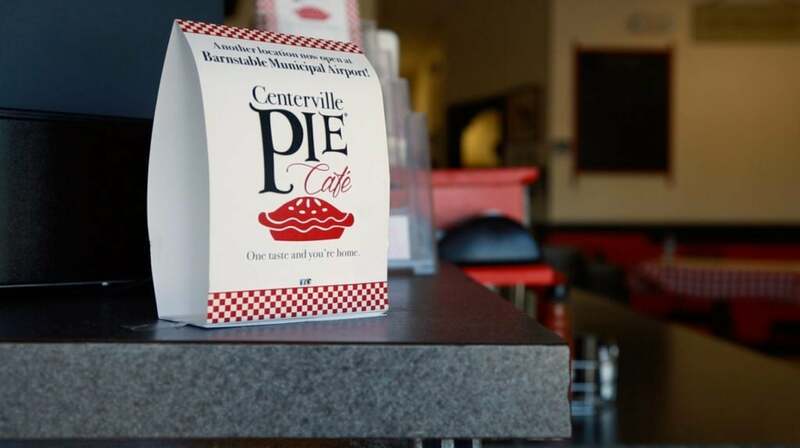 Centerville Pie Company truly began as a homegrown business. Broadley and Brown gained a local reputation for their pies, which they baked in their spare time and sold from their home on the Cape. “We were selling maybe 20 pies a year,” Broadley says. Though a professionally trained chef, she was working at Rockland Trust when she was struck by the idea of walking away from banking and opening a small bakery and cafe in her hometown. 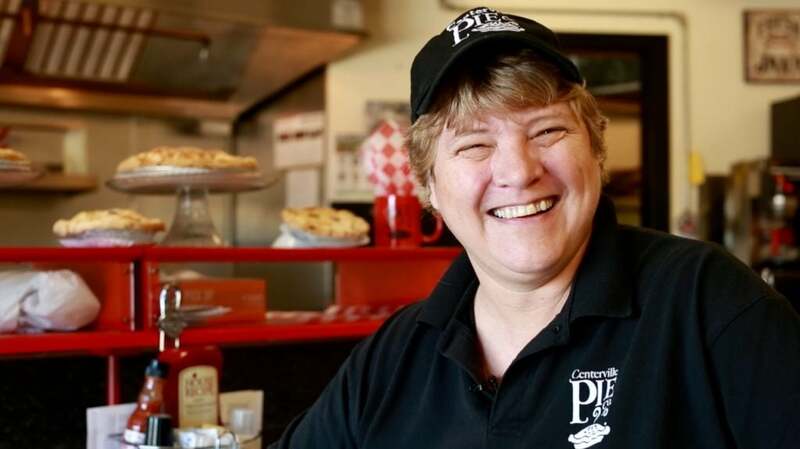 With her friend and partner, Broadley quickly built a solid small business starting in 2009, selling perhaps 40 to 50 pies a week and gaining a strong local reputation, especially for their savory chicken pie with gravy. Then in late summer of their first year, Winfrey was in town to attend Eunice Kennedy Shriver’s funeral, and Broadley had the idea to send the talk show icon a couple of pies. It’s the kind of idea a savvy PR or marketing manager would have come up with, but Broadley insists she wasn’t thinking like that. It was, to say the least, a good thought. Orders for the pies increased to more than 100 per week and new orders were subjected to a week-long delay. The company scrambled to keep up as well as deal with other media inquiries from local and national food shows, all on the strength of Winfrey’s endorsement. But the media mogul’s involvement didn’t end there. She invited the bakers to appear on her show and feted them with an “Ultimate Wildest Dream” segment in which she announced that Harry & David, the Oregon-based gourmet food company would help produce the chicken pies and carry them in millions of Harry & David catalogs. That brought invitations to serve up the pies at the Golden Globes where the cast from “Modern Family,” and actress Jennifer Love Hewitt were among those photographed sampling the pies and gravy. 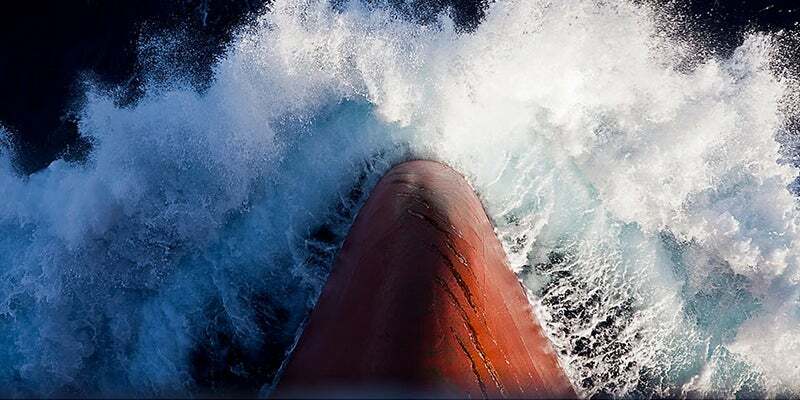 Most entrepreneurs would have just kept on running with the momentum until it died. Broadley eventually recoiled. The five-year agreement with Harry & David lasted five months, as the demand to suddenly produce hundreds of thousands of pies was untenable. A stint on “Home Shopping Network” proved equally as frustrating. And so came the return to Centerville Pie’s roots. Today, Broadley is quite happy with the company’s modest success, its broad name recognition, and, most of all, the continuing high quality of the pies, which the company turns out at volume of about 2,000 week. They are handmade by 50 or so disabled employees at the company’s facility at Cape Abilities, a non-profit organization that Centerville Pie supports. 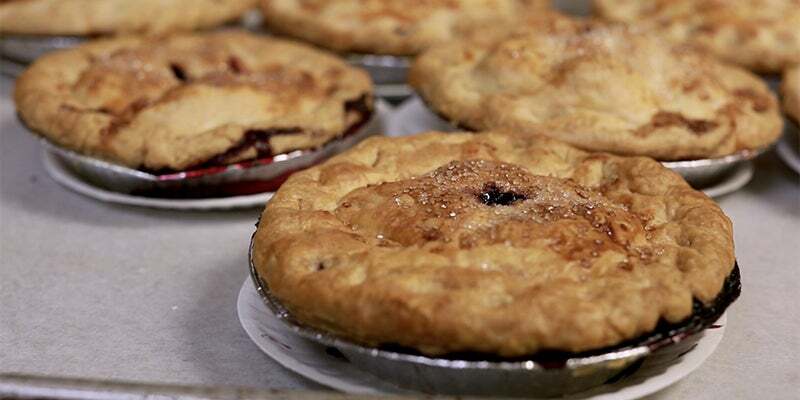 It has a bustling online sales operation, and the pies are now available through a grocery line Centerville Pie established to put its pies in stores, like Stop & Shop, Market Basket, Roche Bros., and others, from New Hampshire to Georgia. Its sweet and savory pie offerings have expanded to include Shepherd’s Pie, Clam Pie, BBQ Pork, Buffalo Chicken, and even Lobster Pie. The sweet pies include the traditional Apple, Blueberry, and Cherry, but also Banana Cream, Cape Cod Crunch, Keylime, and others. They have opened a second location at Barnstable Airport. Even though the company spurned its first shot at national distribution, that doesn’t mean it’s not interested in growing. Just growing smartly, on its own terms, at its own pace without sacrificing its broader mission. Pies not just called homemade, but that taste homemade and, in fact, are homemade. The pies crusts are hand crimped, the apples are hand-peeled, the potato topping the Shepherd’s pies is hand-piped. “The care and consistency is what makes our pies distinctive,” Broadley says. “I could buy machines and make a lot more money but they wouldn’t be the same. I’d still like the company to get bigger in the sense that I’d like to create more jobs where we can use people from the handicapped community, because there’s such a need for that. 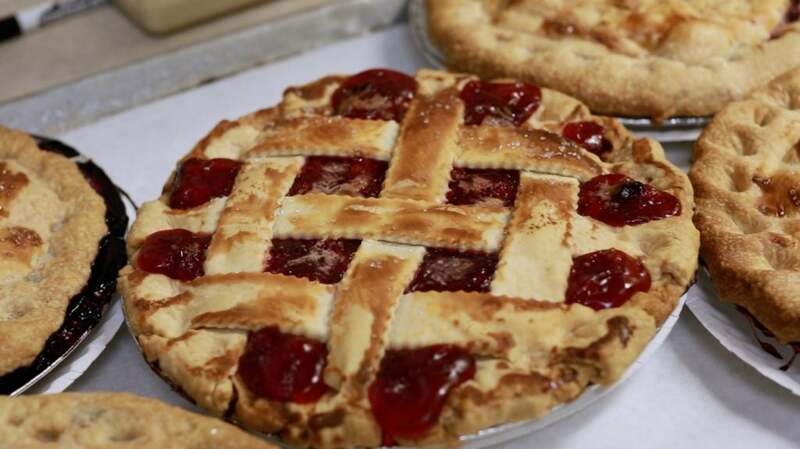 The Centerville Pie Company is a customer of Rockland Trust. For over a century, Rockland Trust has built relationships with business owners to fuel their success and growth. We believe that bond begins with us listening to each of our customers. Together we’ll find the best solutions to help your business’ specific financial objectives.